RINSE-OUT CONDITIONER: 1100858 AQUA/WATER/EAU, CETEARYL ALCOHOL, ELAEIS GUINEENSIS OIL/PALM OIL, BEHENTRIMONIUM CHLORIDE, PYRUS MALUS EXTRACT/APPLE FRUIT EXTRACT, GLYCERIN, PARFUM/FRAGRANCE, ISOPROPYL ALCOHOL, STEARAMIDOPROPYL DIMETHYLAMINE, NIACINAMIDE, PYRIDOXINE HCl, BUT YROSPERMUM PARKII BUT TER/SHE A BUT TER, CITRIC ACID, OLE A EUROPAEA OIL/OLIVE FRUIT OIL, SACCHARUM OFFICINARUM EXTRACT/SUGAR CANE EXTRACT/EXTRAIT DE CANNE A SUCRE, BENZYL ALCOHOL, CHLORHEXIDINE DIHYDROCHLORIDE, PERSEA GRATISSIMA OIL/AVOCADO OIL, RIBES NIGRUM OIL/BLACK CURRANT SEED OIL, LINALOOL, CITRUS MEDICA LIMONUM PEEL EXTRACT/LEMON PEEL EXTRACT, CI 19140/YELLOW 5, CAMELLIA SINENSIS LEAF EXTRACT, CI 15985/YELLOW 6. F.I.L.# D174455/2"
Rated 1 out of 5 by Gina2ndchances from Extra light blonde I will never use this product again my roots came out orange and i have dyed my hair for 20 years now my hair is ruined. Rated 1 out of 5 by hannahareno from Gave Me Orange Roots and White Hair This is terrible. 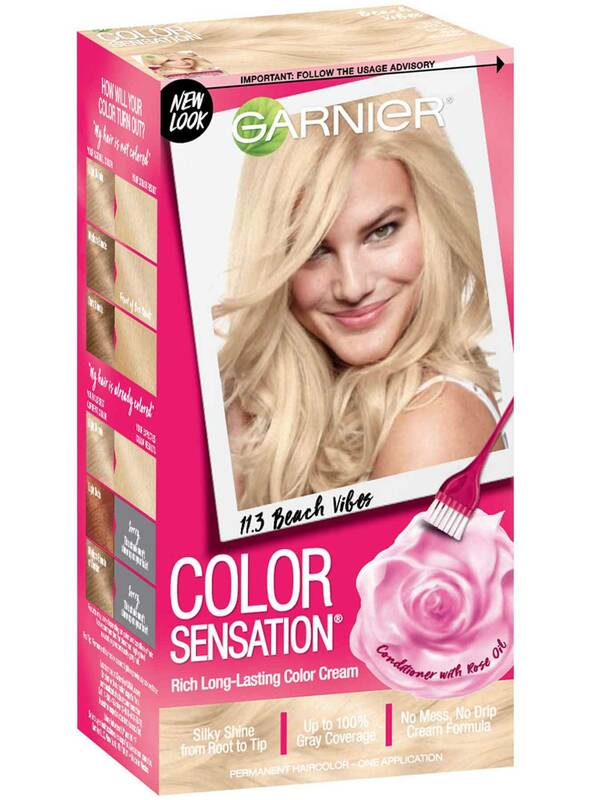 I know you're only supposed to high lift dye on medium blonde hair or lighter, but my hair is light brown and the box claimed to lift it to light blonde, so I bought this dye. I followed the directions and now my roots are orange and the rest of my hair is white. I had to buy some bleach to try and lift my roots to match the rest of my hair. 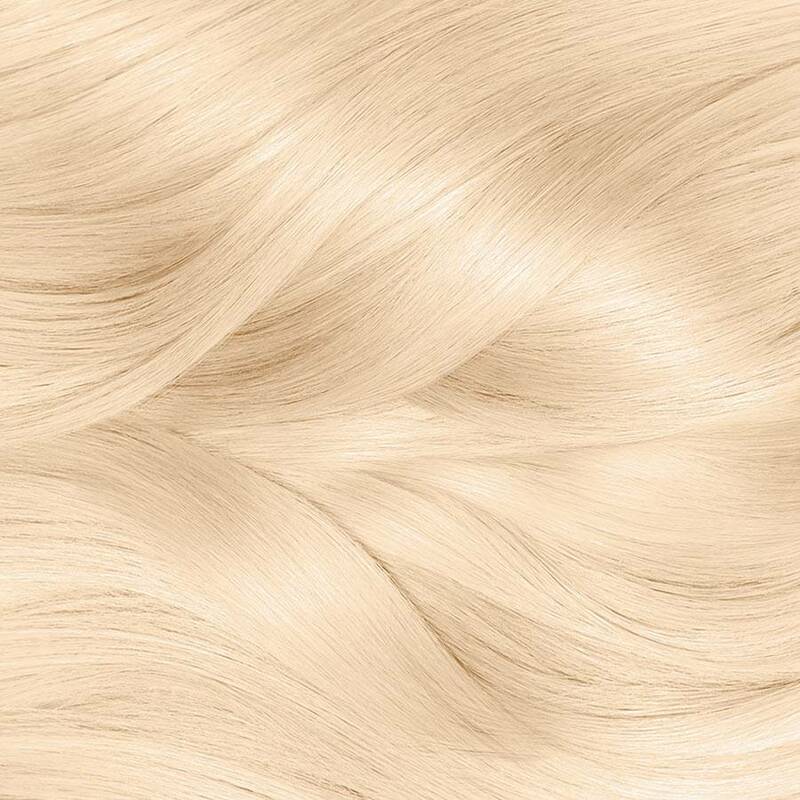 Rated 5 out of 5 by Shonda19452398 from Extra Light Sun Blonde The Extra Light Sun Blonde Is One Of My Favorite Hair Color! Rated 1 out of 5 by Sherri419 from Orange! I bought the 11.3 extra light sun blonde and my roots turned orange. I tried waiting a couple of days and touching up just the roots and no difference. Very disappointed. Rated 3 out of 5 by Amber C from 11.3 extra light sun blonde I bought this yesterday dyed my hair last night and yes most turned out perfect other parts turned a light grey. Not happy at all considering I am a natural blonde and wanted to lighten it a little for summer vacation.